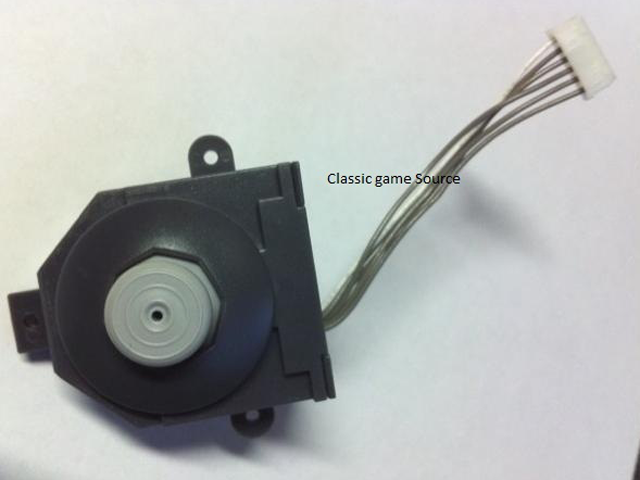 A fix to the N64's most well known flaw... But not a perfect fix. 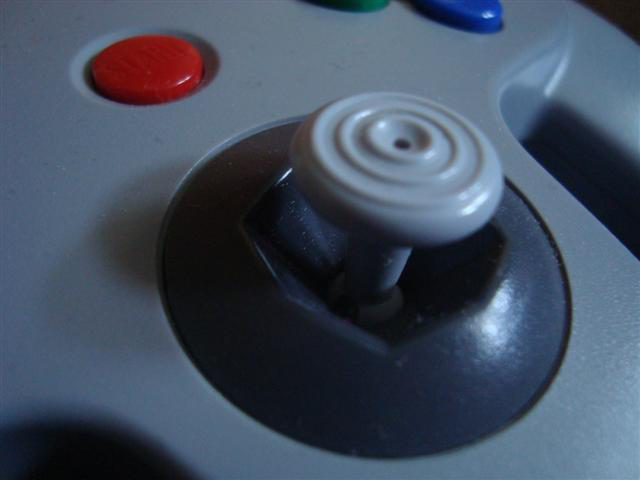 The standard N64 controller's analog stick has been something of a dartboard of ridicule ever since the Nintendo 64 made it's debut in 1996. 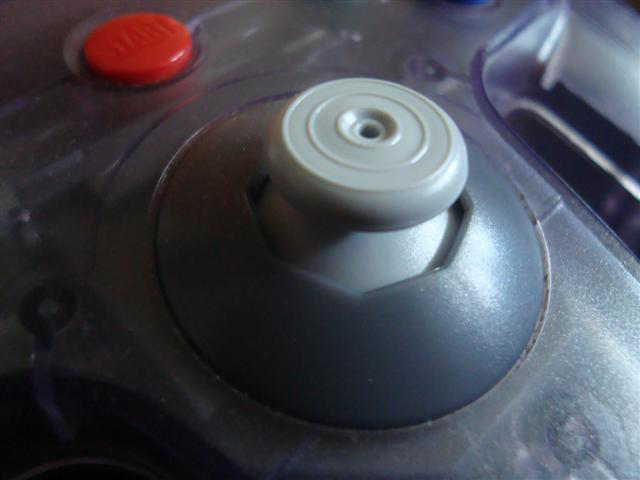 Most have only ever known, or decided, that the standard analog stick was a self destructing mistake on Nintendo's track record (the phenomenon can be prevented for a remarkable amount of time, covered in this article). For a long time, the only alternatives were a few third party controllers of various quality, ranging from the decent SuperPad 64 (also known as Mako 64), to the absolutely superb Hori Mini controller. 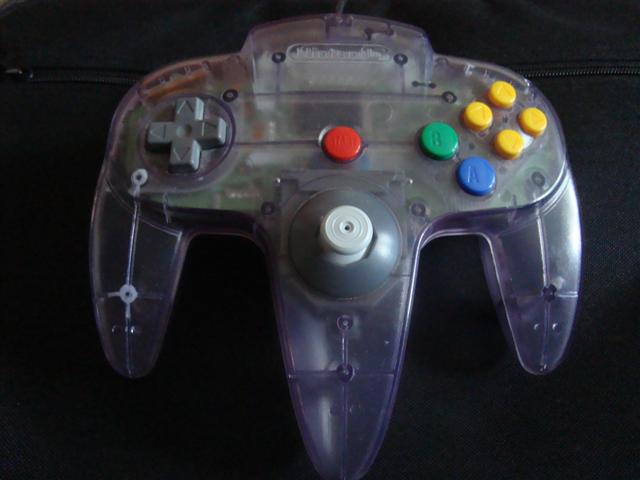 These pads were never too common or well known though, so the original N64 control stick remained the common standard which few tolerated. Fast forward to some time in the mid to late '00s, a new option appeared. The GameCube Control Stick Module. It actually has no formal name, since there's no official distributor of the module, nor is there a known owner of the module's design. For the remainder of this review, it will be simply referred to as the GC-Style Module, or The Module for short. 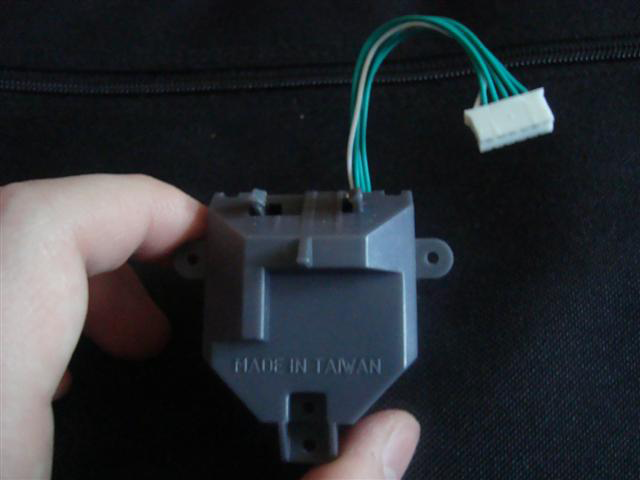 The official N64 controller's stick is housed in a detachable module, which is how a complete replacement is easily possible. Even to this current day, the GC-Style Module isn't very well known and few have spoken much about it online. Is the module worth picking up? Or is it just another in a long list of cheap Chinese knockoffs? Read on and all shall be explained. To start off, as was mentioned earlier, there isn't really an official distributor of the module. A large number of sellers on eBay sell them for around $10 + shipping each, which is an okay price, if not a little expensive. They all seem to carry the same module so it's safe to say there's only one design floating around. Concerning the GC-Style Module itself, it's overall a close replica of the original N64 control stick, with a few changes here and there aside from the obvious. The stick itself uses the same mechanism that the official GameCube and Wii Nunchuck controllers contain, as well as the Hori Mini controller, hence the name. The Module's stick is technically a bit smaller than the GameCube equivalent, it also doesn't have a rubbery top on it. 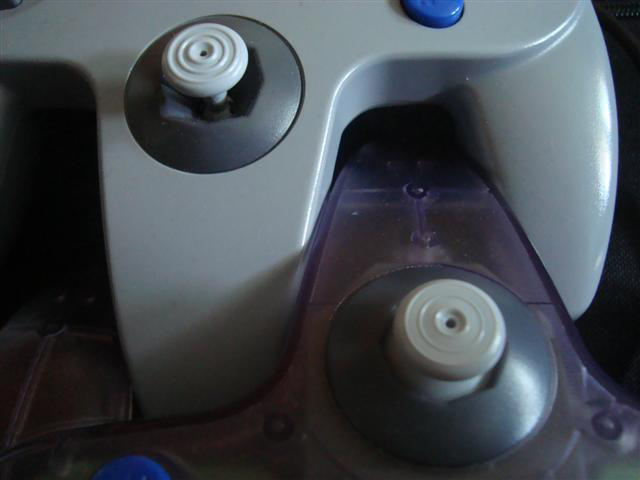 Because of the design change, there is no longer a "pit" surrounding the stick like the old N64 control stick design. The process of installation is very simple, but we felt the subject needed it's own dedicated guide, which can be found here. The GC-Style Module's cable is quite a bit longer than the original's, but it can all still fit inside the shell. The Module's casing appears to be sealed shut, it doesn't even have a screw holding part of the shell together. At this time, I don't think there's an easy way to get it open, not that one would want to. A fancy new design is great and all, but the biggest question of all, is how well does it play? Well, the stick is still, a GameCube-like control stick, so if you have used one before, this N64 replacement will feel quite familiar (except for the lack of a rubber top). In fact, this review could just end on that very note and be done, but that is not the �64 way. Indepth coverage follows below. Firstly, to get an idea of the pros and cons of the GC-Style Module, it needs to be compared with the original N64 control stick, specifically one that isn't worn. With that clarified, the latter stick is very smooth and responsive with a subtle hint of resistance, especially when greased. Nintendo must have been aware of this, because games like F-Zero X rely on very smooth and delicate control, otherwise you'll lose grip on the track very often. It's very easy to make slight movement with the original analog stick, as well as move it in any direction in any rotation reliably. If it weren't for the reliability issue, it really would be a near-perfect analog stick. The GC-Style Module on the other hand, while near-infinitely more reliable than the original stick, still leaves something to be desired. Not only is there (what feels like) a ring of resistance around the stick's deadzone which makes slight movement more difficult than it should, but it's hard to rotate the stick in a consistent circle slowly, without hitting the edge or getting pulled into the deadzone. These might sound like silly complaints, but a significant number of N64 games really do make use of the original stick's butter smooth feel, especially in the heat of gameplay when you can't be slow about precise movement. You may find racing and FPS games play worse with the GC-Style Module compared to the original. Then again, those already accustomed to the GameCube may do alright, so your mileage may vary. There are certainly advantages to the GC-Style Module though, besides the massive improvement in durability. The module is well suited to stick-abusive kids and games, such as Mario Party 1 and Super Smash Bros. As well as games which are easy going and don't really need precise movement, like the Zeldas, Paper Mario and Rare's platforming games (well, usually). All in all, the GC-Style Module is actually a decent quality product. A pleasant surprise indeed considering it's essentially an off-brand Chinese "knockoff". It makes up for the original stick's durability problem in spades, but unfortunately it can't compete with a fresh Nintendo control stick when it comes to smoothness and play. On it's own, the GC-Style Module is certainly usable for all N64 games, but competitive players will want to keep a greased original stick around as well to cover the areas the replacement stick lacks. For roughly $10 + shipping each off eBay, it's worth buying to replace any worn out sticks you may have.